Mazda Motor Corp., struggling to stay competitive in a world of electrified cars, said it would become the first automaker to commercialize a powerful, fuel-efficient gasoline engine technology that has eluded engineers for decades but offers an alternative to going electric. The Japanese automaker, with an r&d budget a fraction of those of major peers, said in a statement Tuesday it plans to sell cars with compression ignition engines -- a type of engine that combines the best attributes of both diesel and gasoline power plants. Mazda says will boost torque and fuel efficiency by as much as 30 percent over its current line of Skyactiv-G gasoline engines. The engine will begin to appear in production vehicles in the fiscal year ending March 31, 2019, Senior Managing Officer Kiyoshi Fujiwara said. The secret is a technology called compression ignition, through gasoline is compressed to such high pressure that it ignites without the need of spark, like in a diesel engine. The technology has been long been sought by automakers ranging from Daimler AG to General Motors, but difficulties in managing the compression and fuel-air mix have kept it from market. "It's a major breakthrough," said Ryoji Miyashita, chairman of automotive engineering company AEMSS Inc.
Mazda dubs the new engine Skyactiv-X and is positioning it as a successor technology to the fuel-saving Skyactiv-G high-compression, direct-injection gasoline engines and Skyactiv-D clean diesel engines the Japanese automaker began introducing in 2011. Mazda is betting Skyactiv-X will keep the brand competitive without costly investments into electrified drivetrains. Achieving a breakthrough is paramount for the small Japanese automaker, which doesn’t have the deep pockets to invest in next-generation electrified powertrains and is focusing instead on honing its expertise in old school internal combustion technologies. "We think it is an imperative and fundamental job for us to pursue the ideal internal combustion engine," Fujiwara told reporters. "Electrification is necessary but... the internal combustion engine should come first." A homogeneous charge compression ignition engine ignites gasoline through compression, eliminating spark plugs. Its fuel economy potentially matches that of a diesel engine without high emissions of nitrogen oxides or sooty particulates. Mazda's engine employs spark plugs under certain conditions, such as at high engine speeds, to overcome technical hurdles that have hampered commercialization of the technology. Executive Vice President Akira Marumoto, called Mazda's engine technology the automaker's "heart." The announcement comes just days after Mazda and Japanese rival Toyota Motor Corp. agreed to invest in each other through a capital alliance. The Mazda-Toyota partnership entails jointly investing in a new U.S. assembly plant and cooperating on development of electrified and autonomous vehicles. 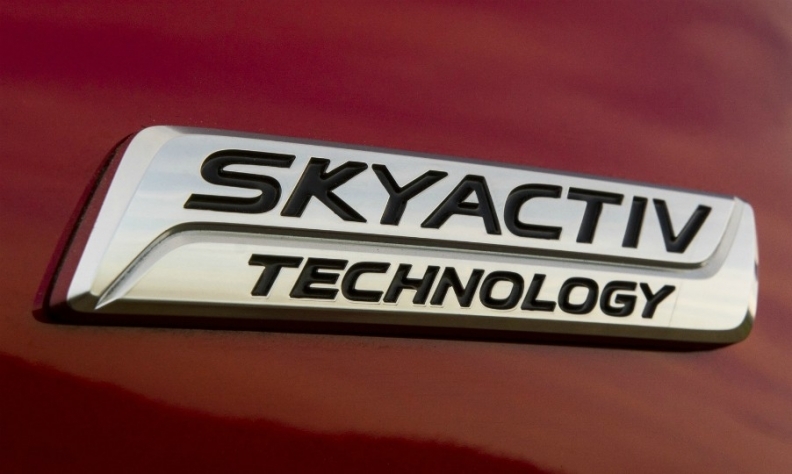 But Mazda has no plans to supply the Skyactiv-X engines to other carmakers, Marumoto said. AEMSS' Miyashita said a key issue is how smooth and responsive the engine is. "Is it jerky? If so, that would pose a big question when it comes to commercializing this technology." he said. "Hopefully Mazda has an answer to that question." Mazda also said it would introduce electric vehicles and electric technology in its cars from 2019, focusing on markets that restrict the sale of certain vehicles to limit air pollution or that provide clean sources of electricity. In addition, it said it aimed to make autonomous-driving technology standard in all of its models by 2025. Hand Greimel contributed to this report.